New Delhi, Sept 13 (IBNS/NITN) In celebration of 85 successful years, Turkish Airlines has unveiled a fresh look with a new uniform specially designed for its cabin crew. 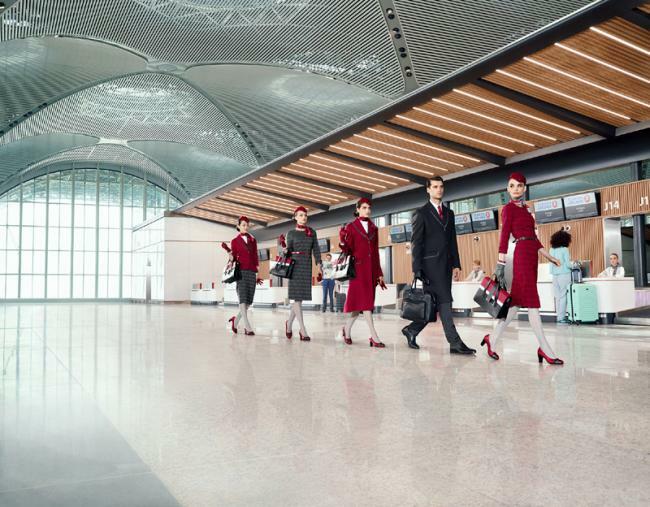 The new uniforms will begin to be used following the opening of the Istanbul New Airport, the “new home” of the flag carrier airline. Inspired by many classic elements of Turkish design and culture, the new uniforms incorporate traditional patterns found in artisanal glassware, ceramics and calligraphy with contemporary textures and details. The collection combines shapes and colours found in Istanbul Bosphorus with a new ‘flow detail’, created to symbolise the effortless and dynamic energy flowing through Turkey’s most dynamic city as an intersection between East and West. Unique and recognizable with a deep red and anthracite grey palette, the collection includes hats, gloves, dresses, bags, and accessories. Another key aspect of the project is that the uniforms of cabin, cockpit, flying chefs, and ground services will be streamlined under a single design approach to offer the passengers to live a holistic brand experience. Bilotta’s designs bring together the form and function, an essential consideration for an airline that flies to most international destinations in the world. New designs were not only conceptualized in consultation with fashion leaders and Turkish Airlines’ own team of cabin crew but tested rigorously on long-haul trial flights in different climates. 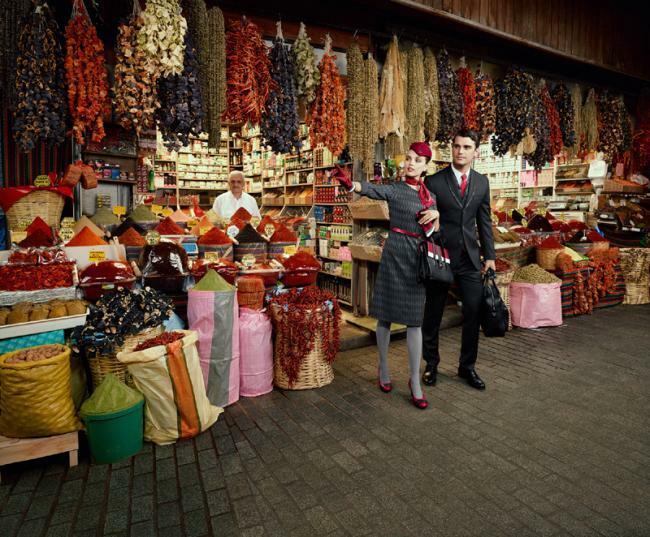 Rich in culture and history, and vibrant in colour and texture, Istanbul, spanning two continents, provided a stunning backdrop to the uniforms. Drawing on his ability to combine a meticulous approach and rare flair for drama and narrative, Miles Aldridge shot the collection using the city to create a selection of bright and distinct images, ready for the launch of the uniforms. A moment that just happens to coincide with the airlines 85th Anniversary. "I was really inspired when I saw the uniforms as they hark back to a golden age of couture fashion from the 1950's, but with a very contemporary twist. Again, it's very much like my own work which is always referencing the past but very much being in today."